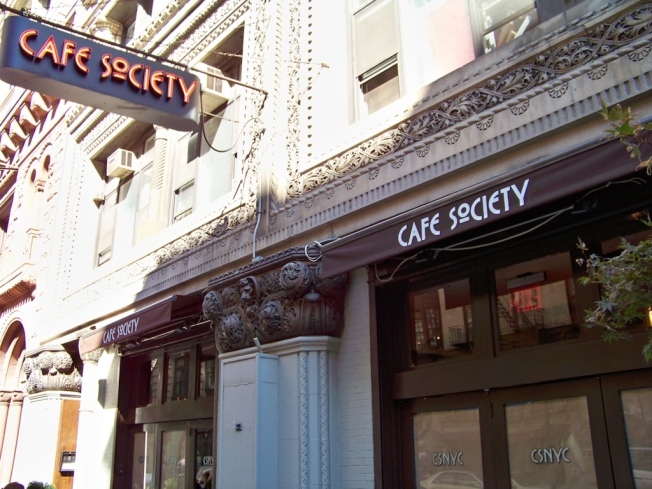 Union Square: Cafe Society, the struggling restaurant that opened in the former Steak Frites space right off Union Square, is papered up, shuttered. But owner Andrew Silverman's failed experiment may still have a pulse. A call to the restaurant reveals that they are closing for "renovations and a change to the menu" and will reopen in three to four weeks. We have a feeling that what we're looking at is a complete overhaul. Don't be surprised if come November there's a new name, theme, menu, and a renewed hope for getting some actual customers through the doors.